The Minneapolis jazz community is known for collaboration and cross pollination, and here at the TPT studios we were lucky to be joined by the Bryan Nichols Quartet, a group of four well-known veterans - JT Bates, James Buckley, Michael Lewis and Bryan Nichols. The Minneapolis jazz community is known for collaboration and cross pollination, and here at the tpt studios we were lucky to be joined by the Bryan Nichols Quartet, a group of four well-known veterans - JT Bates, James Buckley, Michael Lewis and Bryan Nichols. 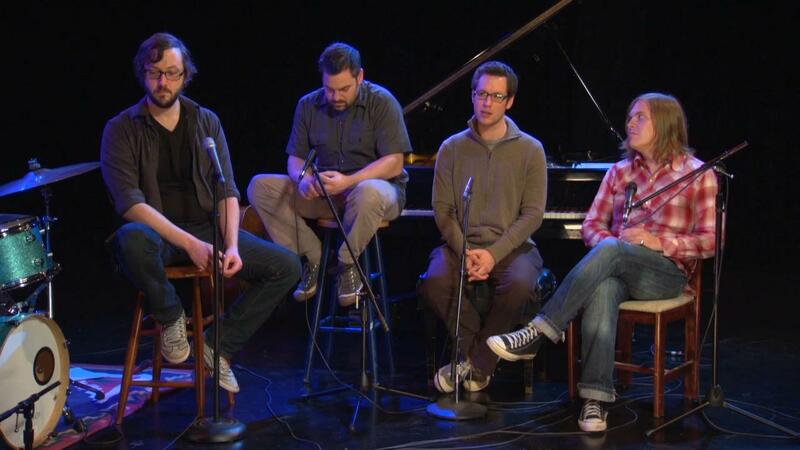 See also: Bryan Nichols Quartet performs "Stories About Stories" in the tpt studios. ARTIST BIO Bryan Nichols is a Minneapolis-based pianist and composer, working primarily in jazz and other instrumental music. He returned to Minneapolis in 2005 after four busy years in Chicago where he played with straightahead and free-jazz heavyweights like Corey Wilkes, Jeff Parker, Nicole Mitchell, Von Freeman, Hamid Drake and Ernest Dawkins. Since returning to Minneapolis, he's been an in-demand freelancer, in addition to playing regularly with the Kelly Rossum Quartet, James Buckley Trio, Chris Morrisey Quartet, Zacc Harris Quartet, the Gang Front, Off the Map, Bruce Henry Band, the Minneapolis/Chicago collective City of Friction, and also balancing gigs with his own trio and quartet as well as composing and teaching jazz piano at MacPhail Center for Music. Jazz musicians JT Bates, James Buckley, Michael Lewis and Bryan Nichols perform.